BOTOX treatment is a safe, non-surgical, fast and effective way to reduce wrinkles and facial lines. Satisfaction is high and its popularity is exploding. 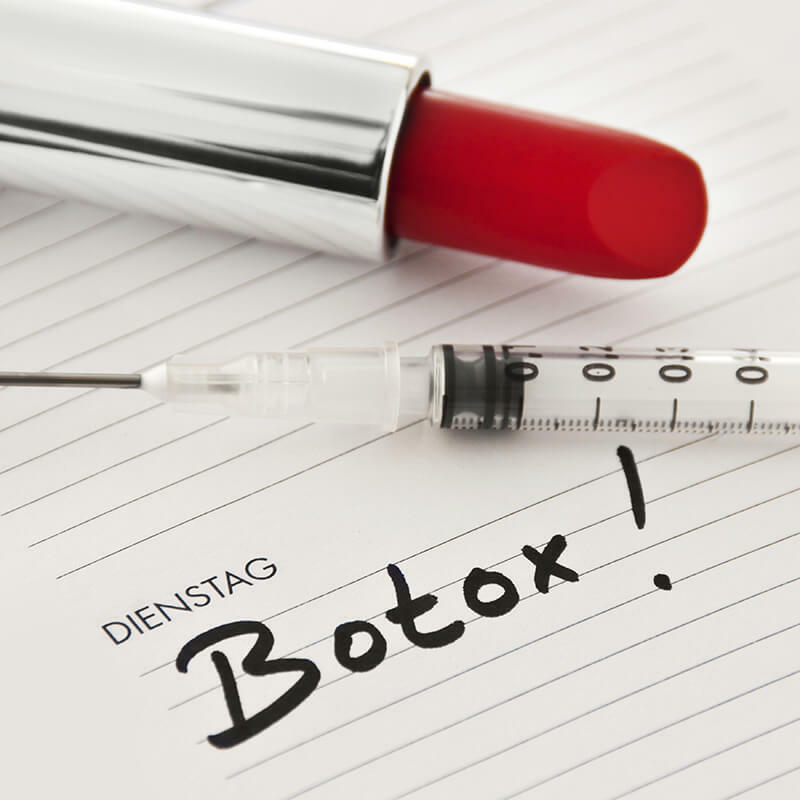 Today BOTOX has been safely used in thousands of patients for cosmetic enhancement. BOTOX usually takes full effect within 5-10 days. Treatment generally lasts from four to six months, and results may vary for duration and degree of improvement. Treatment must be repeated approximately every four to six months. Occasionally, repeat injections between two and three weeks may be necessary. The most common cosmetic uses for BOTOX involve improvement in glabellar frown lines (lines between the eyebrow) and excessive "crow’s feet" (lines/wrinkles between the eye and temple area). BOTOX may also be used to improve excessive forehead lines/wrinkles (Frown lines). More recently, BOTOX has been used to reduce vertical lines around the mouth/lips and vertical lines/bands in the neck area. Currently BOTOX in La Jolla & Carlsbad is also being used by many younger individuals as a preventive strategy to delay the onset of the wrinkles. BOTOX can also be combined with filler treatments e.g. with Juvederm, to obtain the maximal improvement. At Blue Illusion, we make sure that every individual understands goals of therapy and receives the treatment that is appropriate to their needs in a safe and economical fashion. Dr. Mehta has extensive experience with the use of this medication. In addition, Dr. Mehta is very experienced at using new popular alternatives to BOTOX including Dysport and Xeomin. During your consultation he will discuss which treatment is right for you.